We have over 100 years of experience caring for families, from all walks of life. Each family comes to us because they know we are leaders in our profession, dedicated to excellence in service, and have the highest integrity. We invite you to discover who has made Thomas McAfee Funeral Home the ultimate provider of creating healing experiences in the community. This section contains the heritage, vision, and the people behind Thomas McAfee Funeral Home's reputation of quality, sincerity, and trust. When Thomas McAfee founded this funeral home in 1913 on South Main Street, he was a man of determined purpose, yet a man of dreams. He envisioned a growing community and planned his establishment to serve the increasing needs of the people. It was still the days of the horse-drawn hearse, yet, in only two years, he brought the first motor ambulance to Greenville, a Winton Six. Down through the years the business grew because of his purpose and his ideals, and because he believed in personal, intimate service from which grows friendship and understanding. 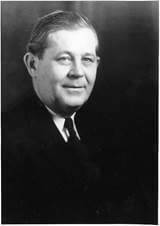 After the death of his father in 1943, Thomas McAfee, Jr. became President and remained active until his death in 1993. At that time, Thomas McAfee, III took the helm and great-grandsons Thomas McAfee, IV and John McAfee oversee the daily operations of the firm today, making the fourth generation active in the business. 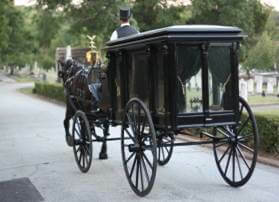 Since 1952, Thomas McAfee Funeral Home has been located in downtown Greenville at 639 North Main Street. A second location was dedicated in 1992 at 6710 White Horse Road in the northwest area of town. In 2001, the Thomas McAfee Cremation Center opened behind our Northwest location on White Horse Road to serve those who prefer cremation as a method of disposition. Then, in May 2012, Thomas McAfee Funeral Homes opened our newest location in Simpsonville, SC to offer a more convenient location to serve our families in the Golden Strip, Mauldin, Fountain Inn, and surrounding areas. The McAfee family and our many loyal, long-term associates are proud of our heritage and that we have been able to play a part in the progress of Greenville. We continue to work together to render the same complete and efficient service to every family, regardless of their means.